“I couldn’t stop thinking about why I stopped picking up a brush and painting,” says Josh Flohre. 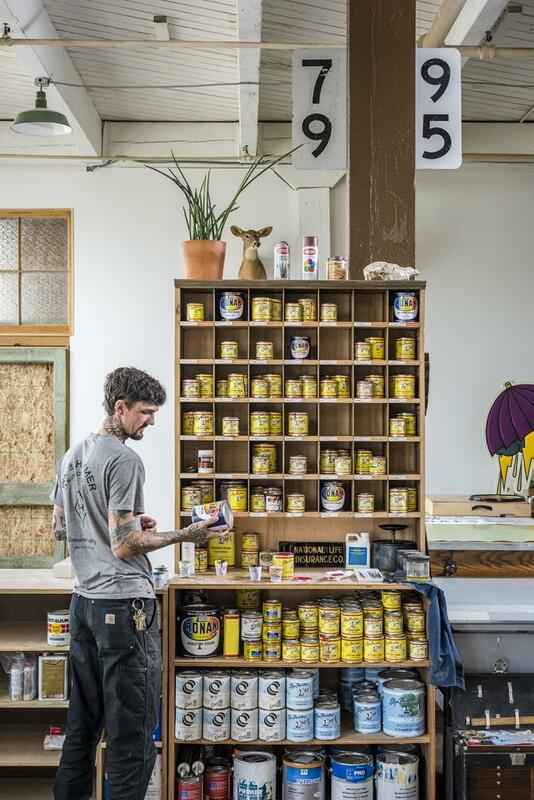 Today, he’s the owner and sole employee of Ink & Hammer, a traditional sign-painting service, but almost a decade ago, he felt unfulfilled in a graphic design career. Prior to his desk job days, the 34-year-old Dayton native studied art mediums that employed his hands. He practiced graffiti for nearly 15 years throughout his youth. Then at 18, he attended a technical school in Pennsylvania, where he learned machining, welding, and custom automotive painting. At one point, he even tried his hand at tattooing and pin-striping cars and motorcycles. So he dusted off his brushes and taught himself the art of sign painting. In 2013, at 29, he launched Ink & Hammer. Five years later, you can admire his work throughout Cincinnati, Dayton, and Columbus. Storefronts in Over-the-Rhine like Crying Heart Tattoo, A Tavola, Taft’s Ale House, and Sartre are adorned with his hand-painted lettering. “My first job in Cincinnati was at Article Menswear,” Flohre says. 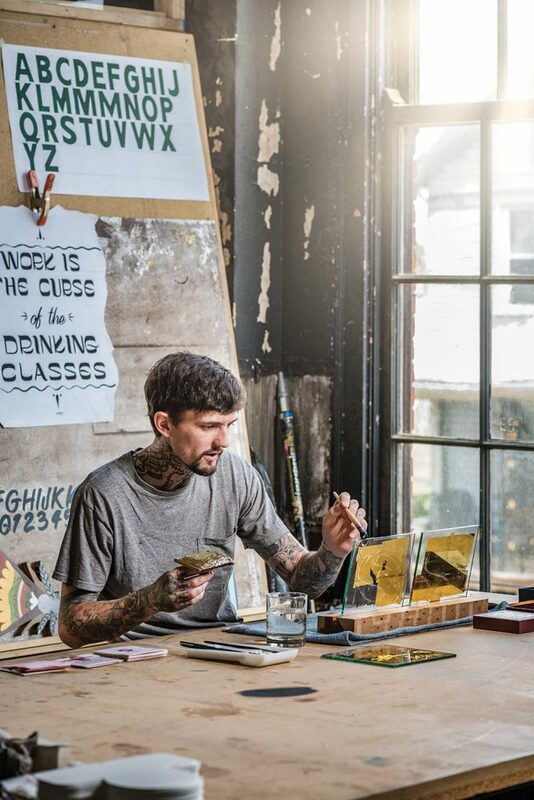 “From there, I started getting jobs from the exposure and word of mouth.” Flohre continues to expand his skillset with different techniques, such as gold leaf gilding, a time-consuming skill that involves adhering delicate gold foil pieces to a window or sign. When he’s not working on a project site, he’s in his Dayton workshop, where he can machine metal signs, carve wooden signs, and of course design and paint on glass.